Czech Republic, Bohemian Forest, Prague, Town of Klatovy, West Bohemia. The first 15 will be accepted. Sightseeing, visit of historical monuments in the region. 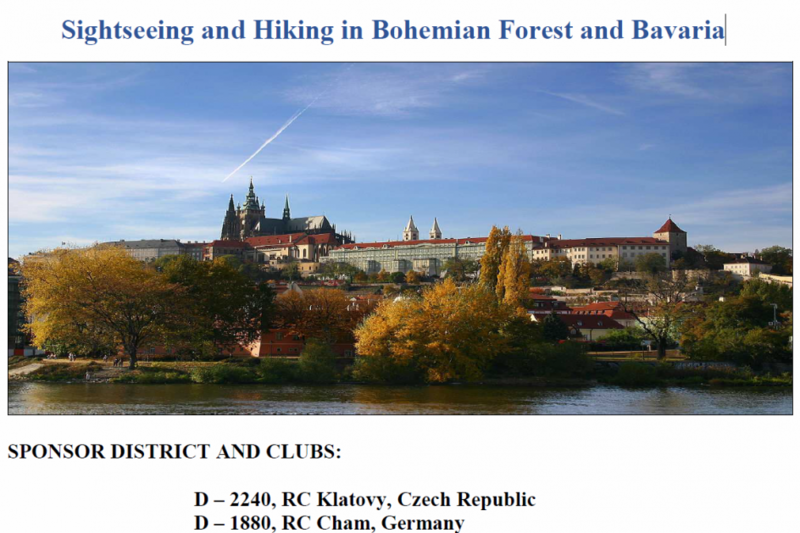 Hiking, sport activities in nature. Visit of Prague and Munich. Detailed program will be send to each participant. Return ticket to Czech Republic plus additional pocket money. Lodging and food provided to participants at no cost. Health insurance, third party liability insurance.